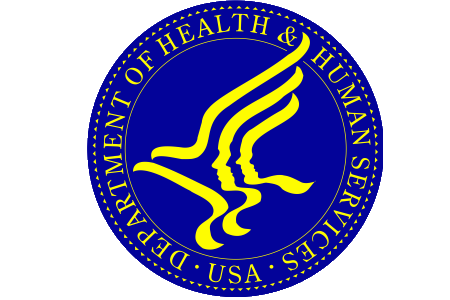 The Department of Health and Human Services’ Office of the National Coordinator for Health IT (ONC) has released a new patient guidebook on health record access. The guidebook goes through how patients can access their health data, offers advice for checking health records and correcting errors and outlines how patients can use their health records and share their health information. The HIPAA Privacy Rule allows patients the right to download copies of health information held by their providers, yet even though the Privacy Rule became law on April 14, 2001, many people still do not know their right to access their health data or how this can be completed. Enhancing patient access to health data is a major focus for the HHS and ONC. In 2016, ONC released a series of videos for patients in which their right to access their own health data was explained. This latest guidebook goes deeper into that guidance a step further and acts as a practical guide to obtaining copies of electronic heath data to make the process as simple as possible. The publication titled ONC Guide to Getting and Using your Health Data forms part of the ONC’s MyHealthEData initiative, which aims to enhance patient engagement in their own healthcare and supports the 21st Century Cures Act goal of bettering access to electronic health information. While patients are allowed the right to access their health data, many still face obstacles to getting access. One of the focuses of the new online document is to describe how patients can tackle those challenges. One of those obstacles is resistance from healthcare providers when patients ask for electronic copies of their health data. By ensuring patients are knowledgeable of their rights, if they meet resistance from a provider – or health plan – they will be able to clearly outline their rights and will be empowered to overcome that challenge. Ensuring patients can simply access their health record is only one part of the problem. Many patients do not comprehend why they should access their health record and the importance of doing so. The guidebook helps to explain the advantages and why it is important to take a more active role in their own healthcare management. Figures recently published by ONC show that while 52% of patients have been provided with access to their health records online, only half of those patients accessed their health record, equivalent to 28% of Americans. When patients were questioned on why they did not view their medical record when they could do so over the Internet online, 76% said they preferred to speak with their provider on a one-to-one basis and 59% did not have a need to view their online record. ONC’s figures reveal that when patients are encouraged to view their health data by their suppliers they are more likely to do so. 63% of patients who were encouraged to view their medical record online did so compared to just 38% who were not encouraged to do so. Healthcare suppliers can therefore play a big part in enhancing patient engagement. The new guidebook will also assist in that regard. The guidebook also offers sensible advice on the use of health applications and other technologies that can allow patients manage their health data and enhnace their health. What is Vital Interest in GDPR?